"Chief Minister Kejriwal has not attended a single sitting of the House over the last four days. I sought to know why and was marshalled out. He bunked off the entire session," Mr Mishra told reporters. 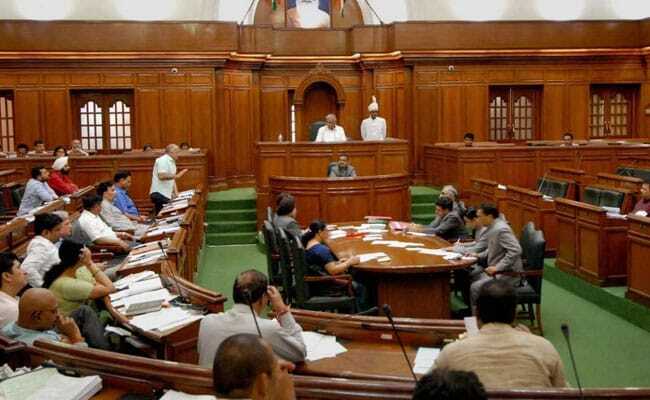 New Delhi: Sacked Delhi Minister Kapil Mishra was marshalled out of the Delhi Assembly today after the rebel AAP leader held up a banner accusing Chief Minister Arvind Kejriwal of "bunking off" House proceedings. As soon the House met on the session's last day, Mr Mishra stood up with the banner which said "Kejriwal missing, come to the House" written across it. Speaker Ram Niwas Goel said Mishra's act was against the rules of the House and called the marshals in. He ordered that Mr Mishra will not be permitted to attend the House for the rest of the day. Mr Mishra, who was an Arvind Kejriwal loyalist at one point, was stripped off his portfolios of water and tourism and removed as minister in May after the municipal elections where the Aam Aadmi Party suffered a humiliating defeat. After that, he made a series of allegations against Arvind Kejriwal, PWD Minister Satyendar Jain and other leaders of the party. He was suspended from the party's primary membership.